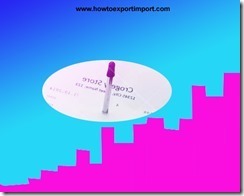 This posts explains about E commerce exports through courier mode or foreign post office mode. 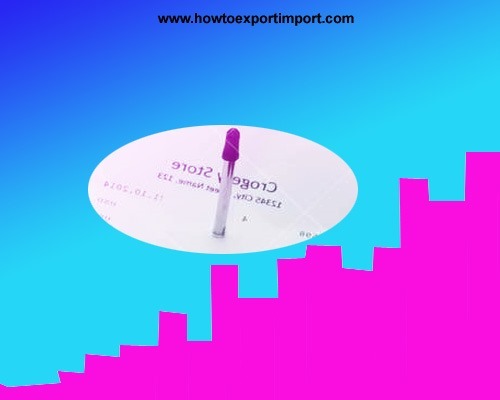 As per para 3.05 of Foreign Trade Policy 2015-20, the eligible category of exporters under MEIS, if export through e-commerce are Handicraft Items/Products, Handloom Products, Books/Periodicals, Leather Footwear, Toys, Customized Fashion Garments (Customized Fashion Garments are garments that are made on specific request/order of customer and accordingly tailored/manufactured). The MEIS benefits on exports admissible for handicraft /handloom products shall be allowed only if the export documents show that the items exported are handicraft /handloom products respectively. Do you wish to add your views about export of goods through courier or foreign post office using e commerce? Comment below about this post about E commerce exports through courier mode or foreign post office mode. sumeet jain: On 06 June 2017 Does Artificial /Imitation Jewellery fall under the "Handicrafts" category - which is one of the 5 categories in List of eligible category under MEIS if exported through using E-commerce platform? Naveen: On 09 August 2018 Hi I am sending ecommerce shipments using CSBV by DHL and Aramex. I am getting EGM number and Shipping Bill numbers. But those never get validated on DGFT or ICEgate sites. Could you please help. Thankyou!